Samson Hair Fiber Mist maintains a natural-looking hairstyle with no damaging build-up and dries within 9 to 12 seconds leaving your hair feeling non sticky and clean. 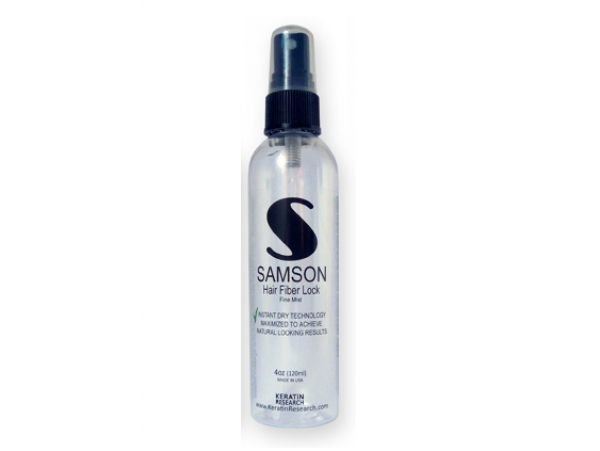 Samson Hair Fiber Mist targets the bond between the Hair building fibers and your hair. Non irritant spray that dries instantly, and help you style your hair fast.